The award was for those companies that have modelled a new risk or developed new and innovative ways to help clients get a deeper understanding of their risks. September 14, 2017 – London, UK and New York, NY – Adapt Ready is delighted to announce that we were honored with the “Risk Modelling Technology of the Year” award at the 2017 Insurance Times Tech & Innovation Awards ceremony held at the beautiful Royal Garden Hotel in Kensington. 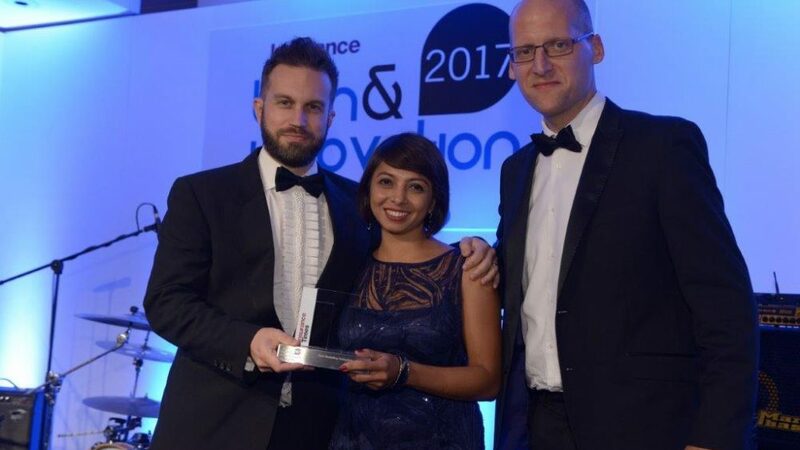 The Insurance Times Tech & Innovation Awards have been running for seven years, attended by the cream of UK insurance to celebrate the industry’s most technologically savvy professionals. The award was for those companies that have modelled a new risk or developed new and innovative ways to help clients get a deeper understanding of their risks. Other finalists in the category included RMS, AIR Worldwide and JBA Risk Management. Adapt Ready, Inc. is a provider of software products for commercial lines insurance. Our risk intelligence platform measures connected risks that affect the (re)insurance world. Built on big data analytics and machine learning algorithms, it delivers enriched, interconnected risk insights providing overall benefits to insurers in three key areas: more accurate pricing, proactive risk management, and new market opportunities. For more information, visit www.adaptready.com. To schedule a demo, contact Sandeep Chandur at demo@adaptready.com. The Insurance Times Tech & Innovation awards are a celebration of the great achievements incumbents are making in the rapidly changing space of the insurance landscape, with The Internet of Things, Artificial Intelligence, Digitalisation, and customer self-service.